Your Support Makes Camp Leo Possible. At Camp Leo, we are determined to keep camp affordable for all. We have never turned a family away due to an inability to pay. With your help, we hope we never will. Nearly 60% of our campers need partial or full scholarships in order to come to camp. We believe the opportunity to feel accepted and included in this community should not come at an impossible price. Your gift helps Camp Leo provide scholarships to families that cannot afford this great summer experience for their children, and keeps camp affordable for all families. Why do we do it? Because we care, and clearly you do too. We care about the children that will grow up with this disease and will deal with it every single day until the cure. We understand that the stronger their community is and the more support they have today, the better off they’ll be in the future. So please, get involved, we love people who care! Checkout the information below for more details and thank you for all you do to ensure these children have the most amazing year of camp EVER! Camp Leo is a volunteer-run organization. We would not exist without our amazing volunteers. Find out how you can volunteer at camp or year-round. Each and every gift, no matter the size, makes a difference in the life of a child with diabetes. Donate today so that all children with Type 1 diabetes can experience the magic of Camp Leo! Camp Leo is a 501(c)3 non-profit organization and your donation is tax deductible to the extent allowed by law. Start your own fundraiser to support this important cause! You can fundraise for Camp Leo online, through our fall apple sale, or in your own way. Have an idea for a fundraiser? Email our executive director at director@campleo.org. 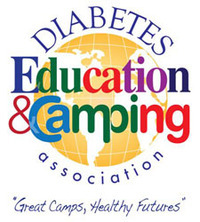 Camp Leo is honored to work with a handful of influential companies, diabetes organizations, and generous individuals. Visit the following links to see who supports what we do — we encourage you to support them as well!